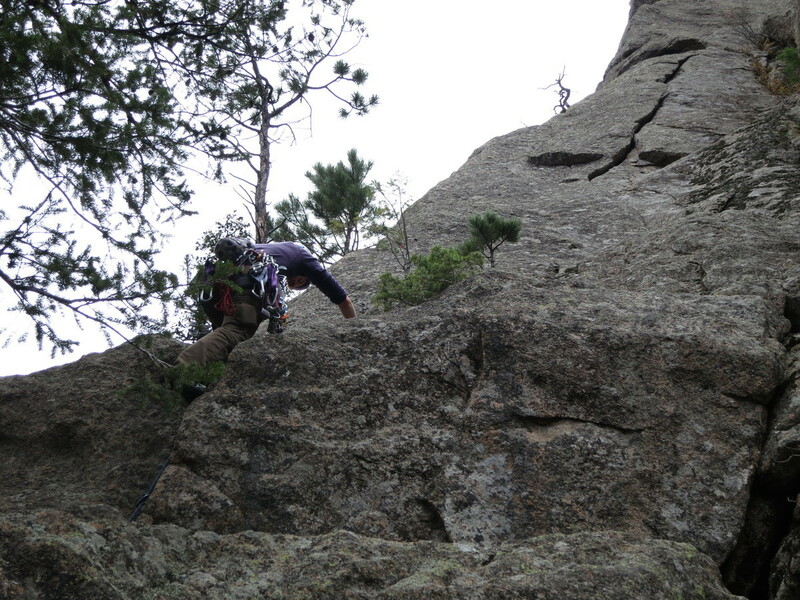 Ben lead first, I seconded and removed his gear placements. 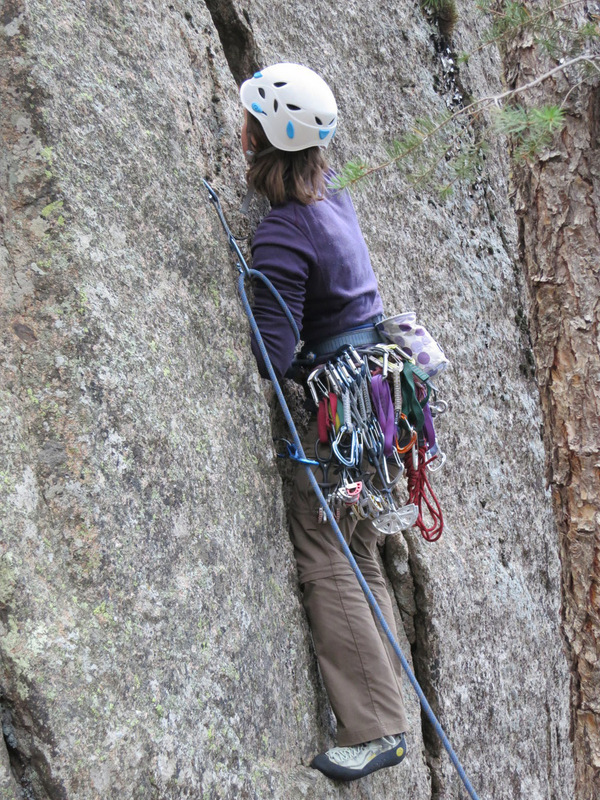 Then Bethany lead, so I could see her placements when I removed them again. 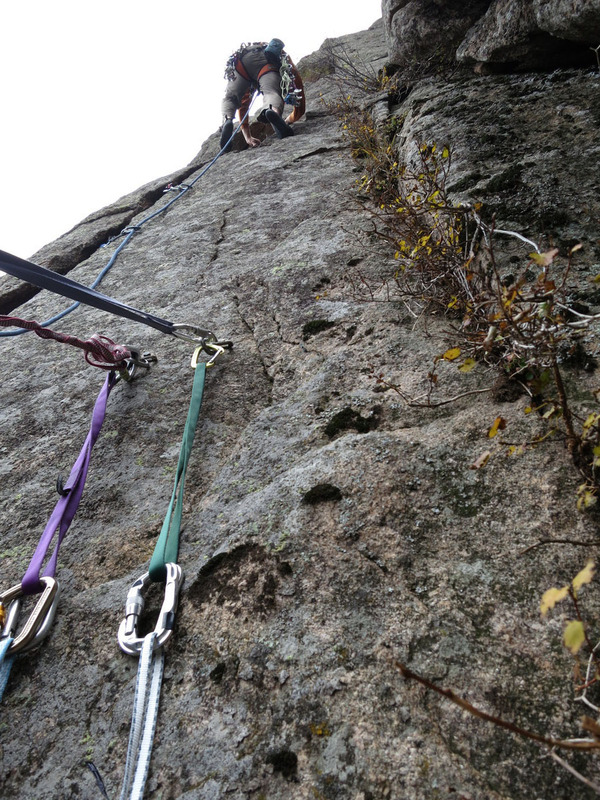 Then I lead my first trad route! 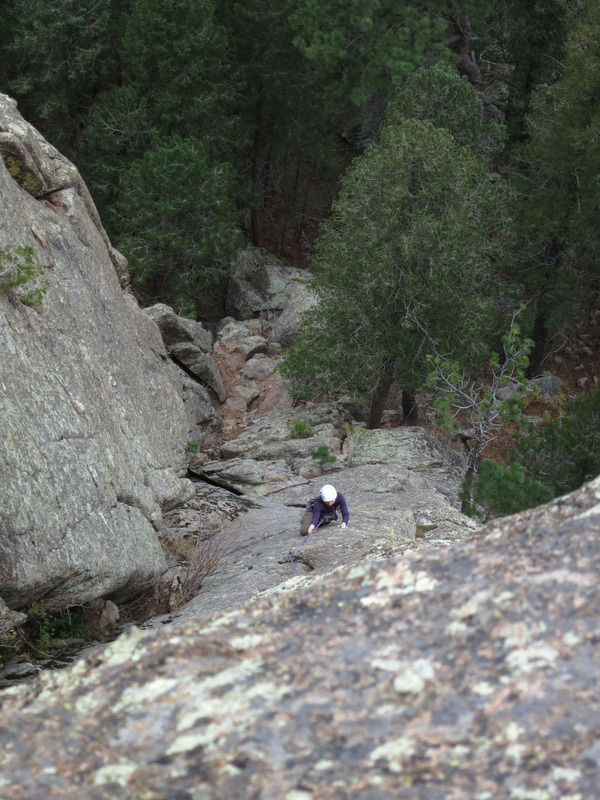 Not too bad, learned a lot of little details to improve on for next time. 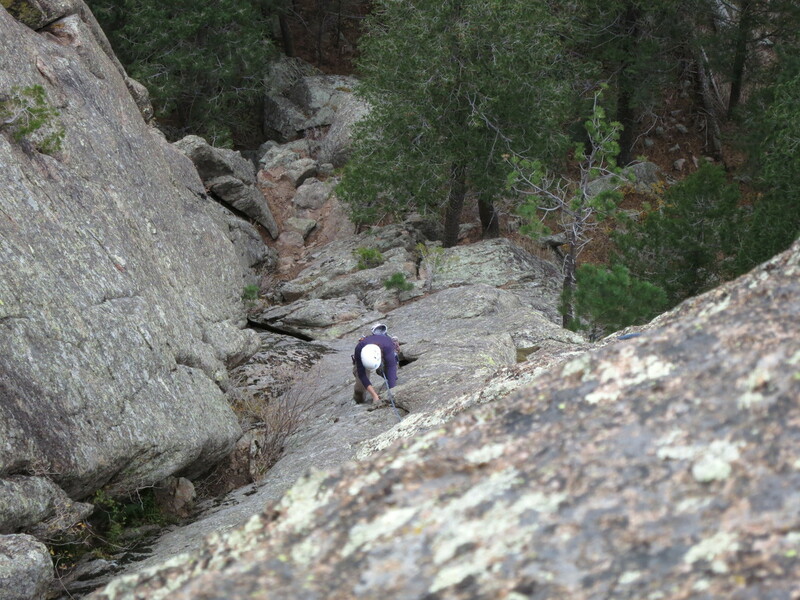 Bethany lead the first pitch, which involved an fun layback move, followed by an interesting crack system. 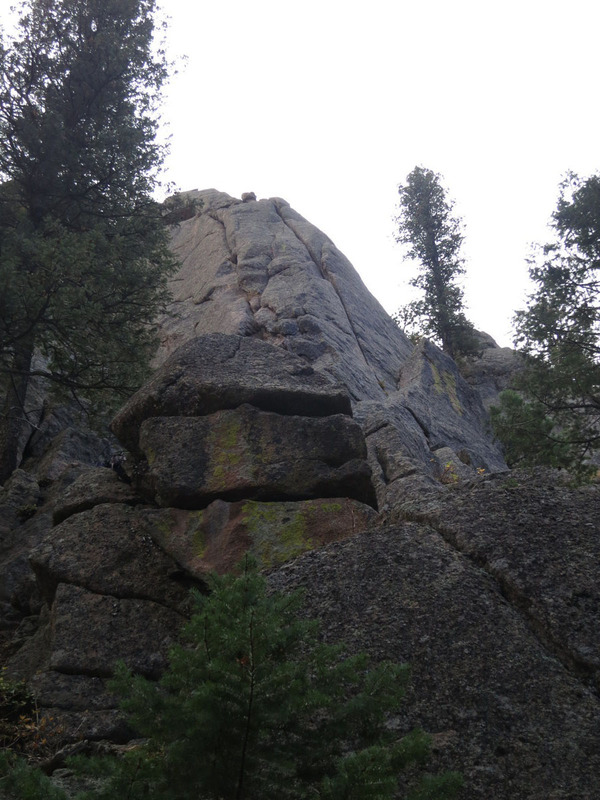 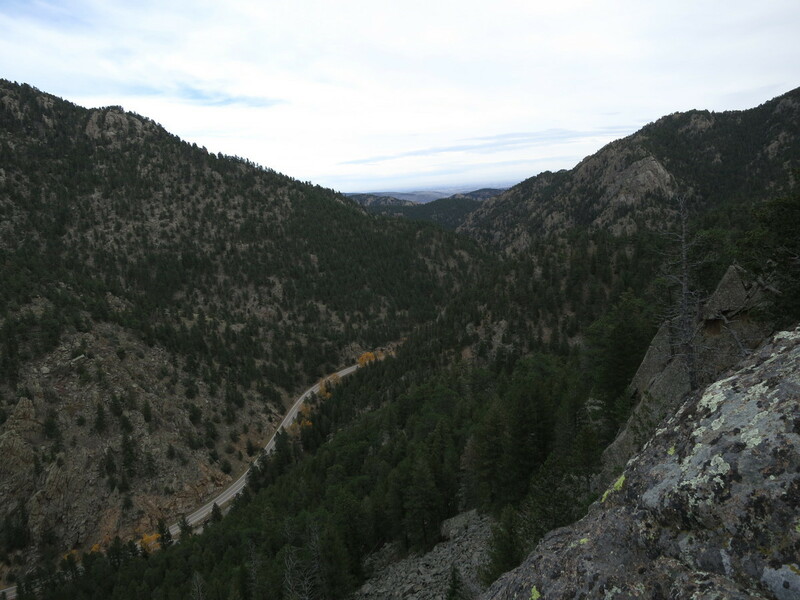 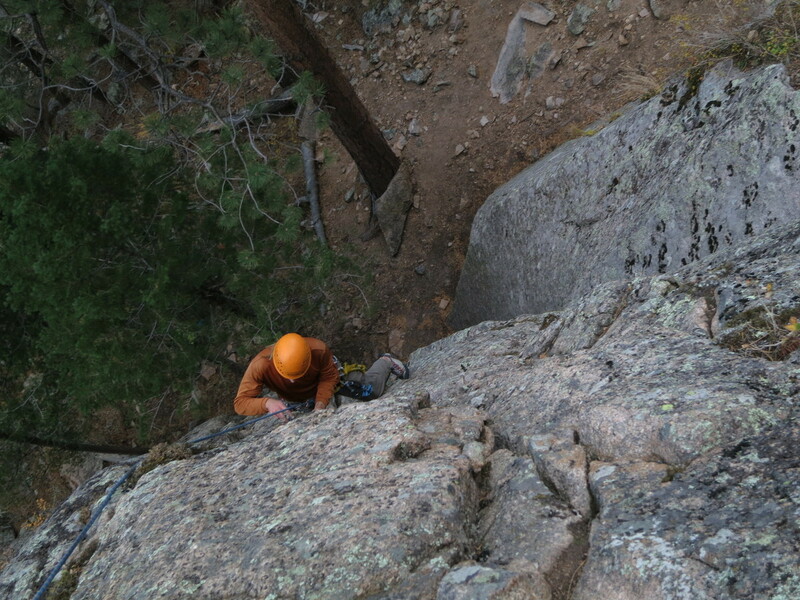 2nd pitch was a bit more spicy and may be a bit more of a stout 5.8 (to our group consensus). 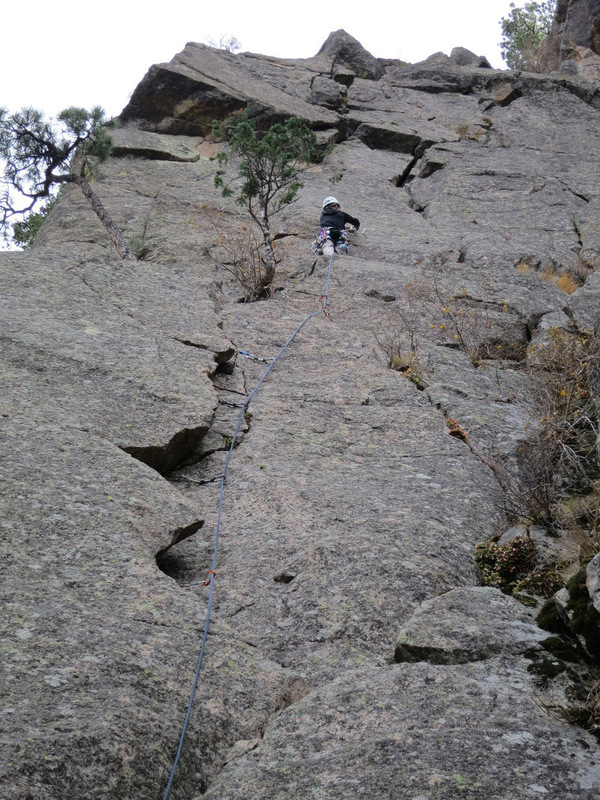 The arete section was quite exposed and had minimal holds. 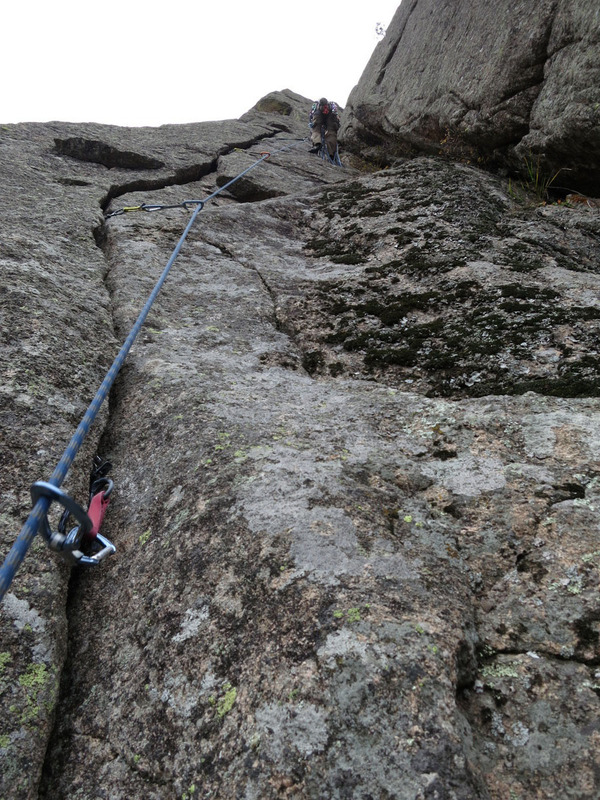 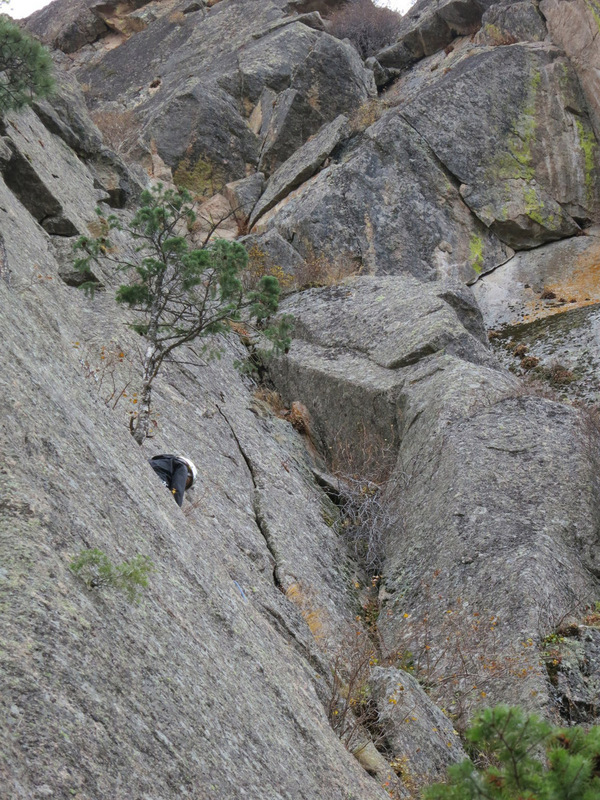 Only did first pitch of Gladiator, then traverse to Hollow Man anchor. 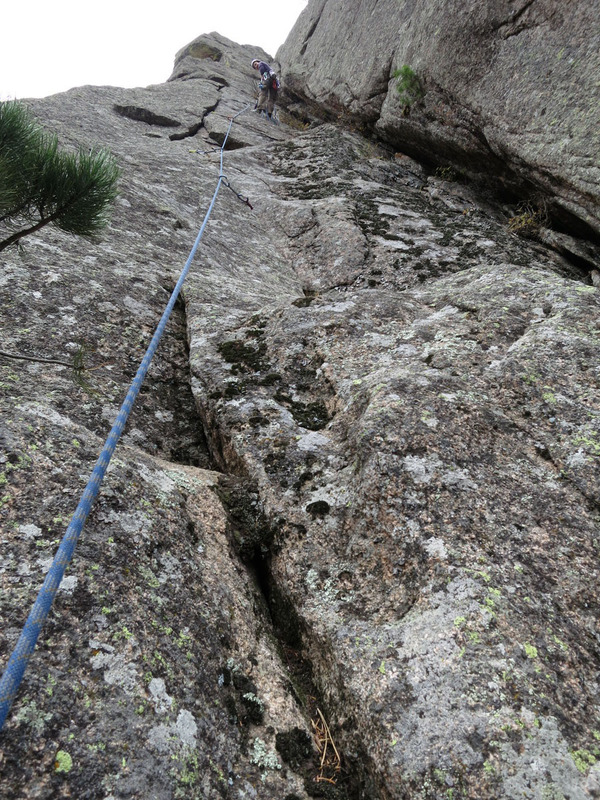 First pitch was fun with an interesting crack to climb. 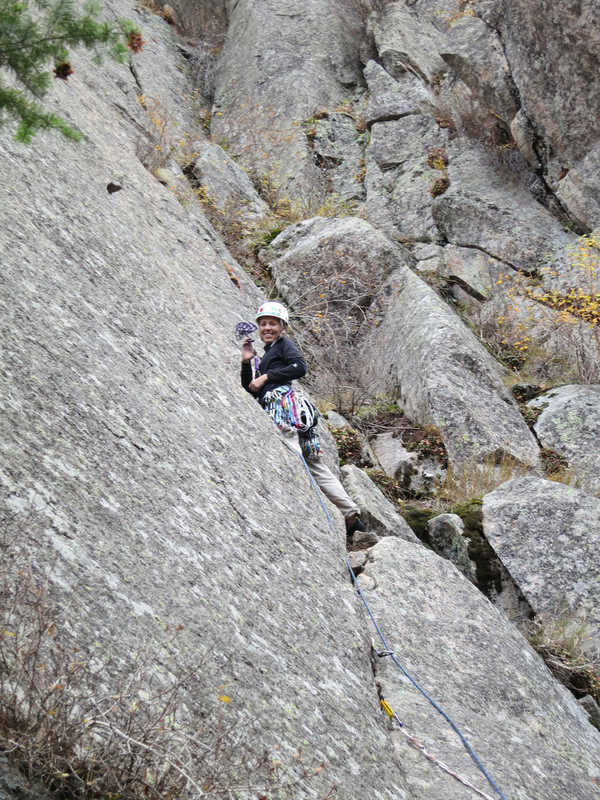 Bethany had a great lead to a difficult crack width for our size hands. 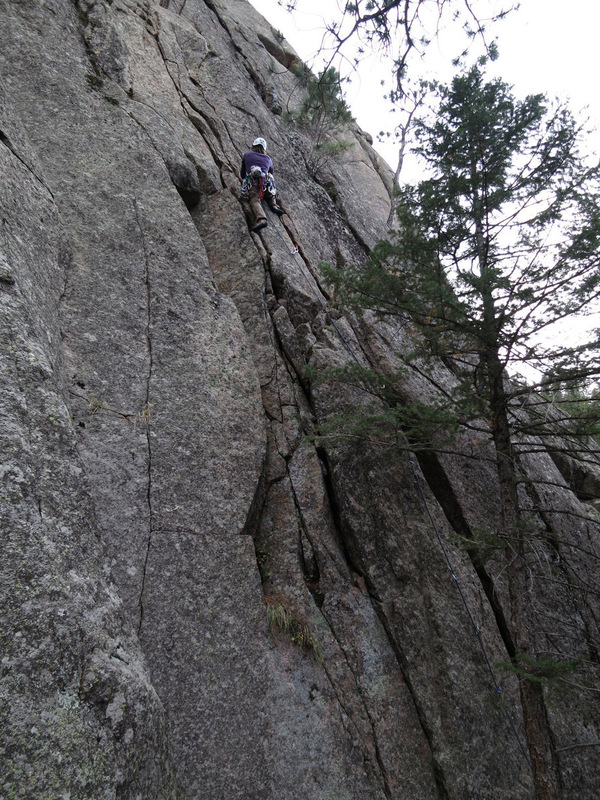 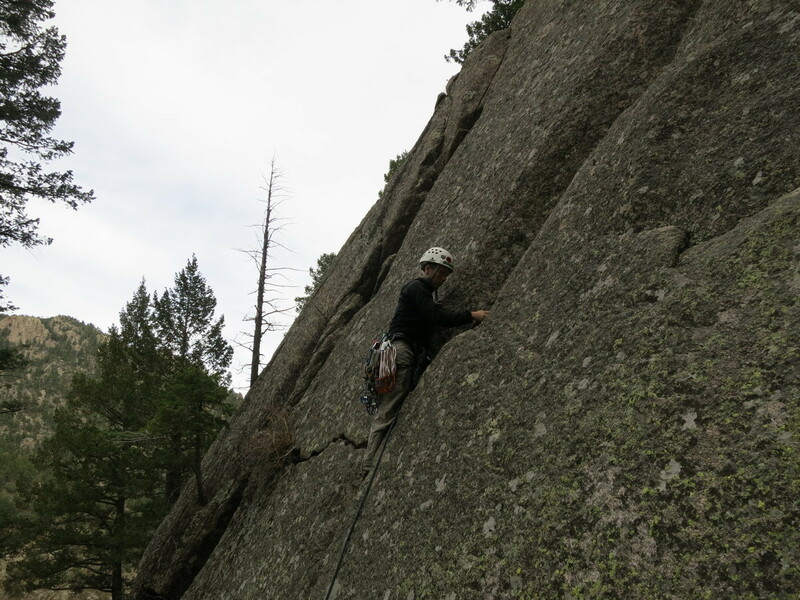 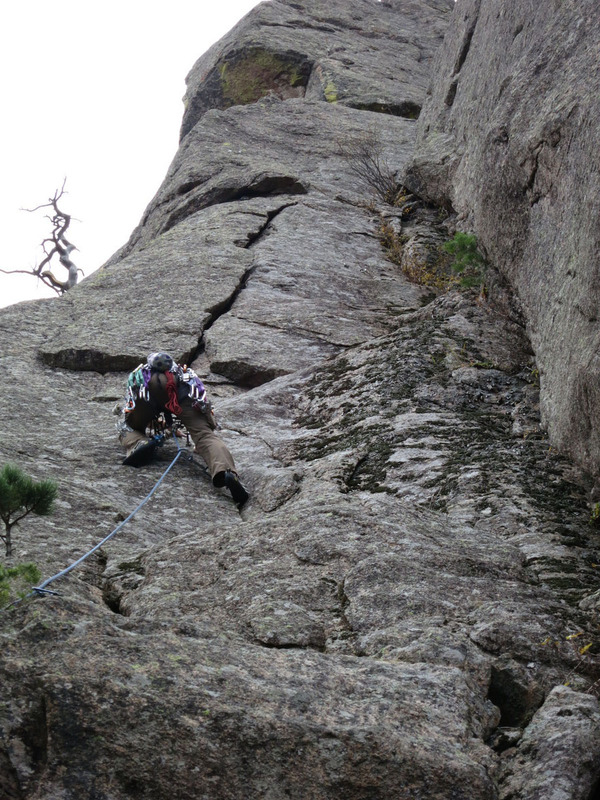 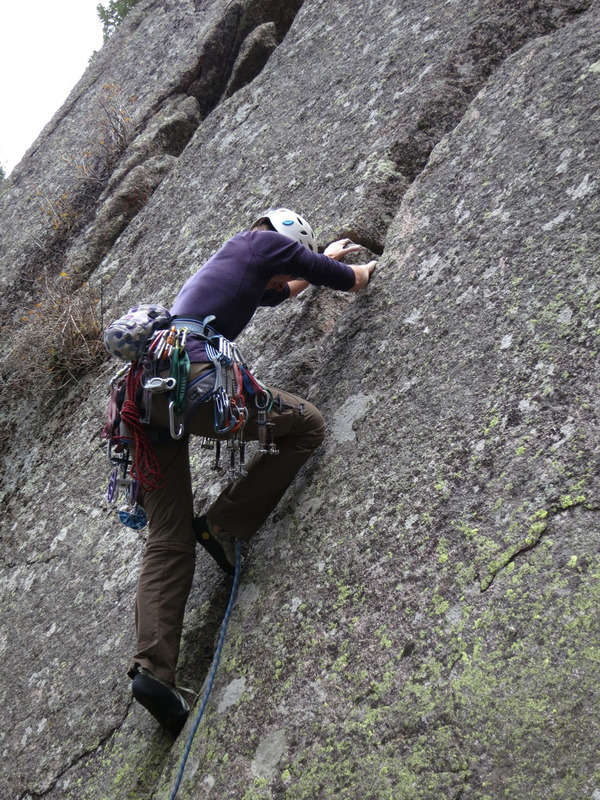 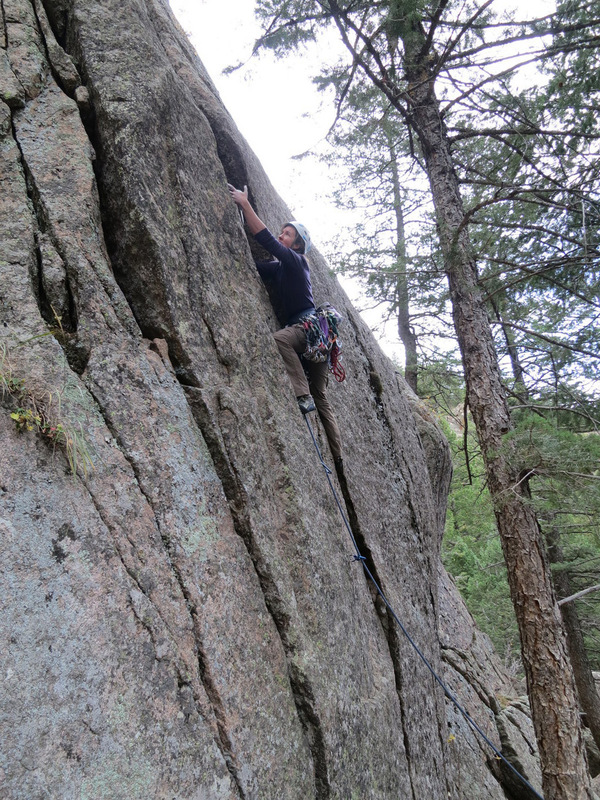 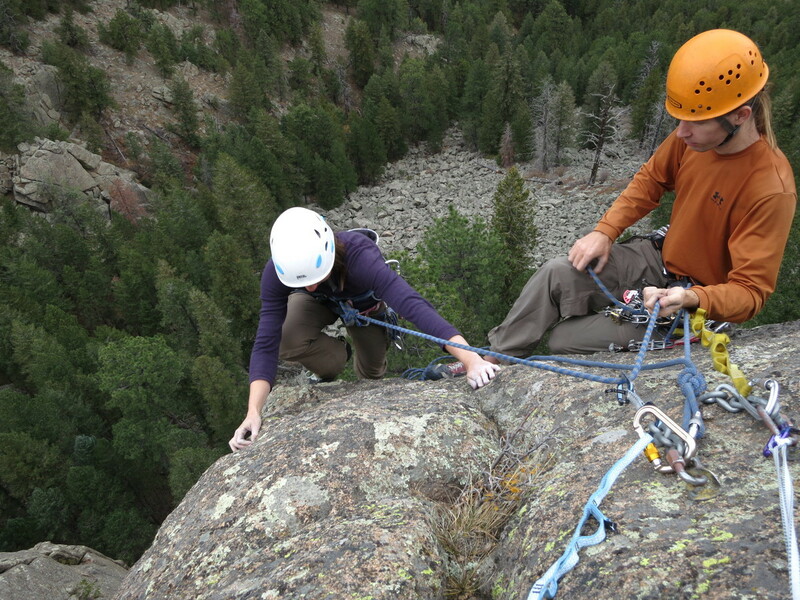 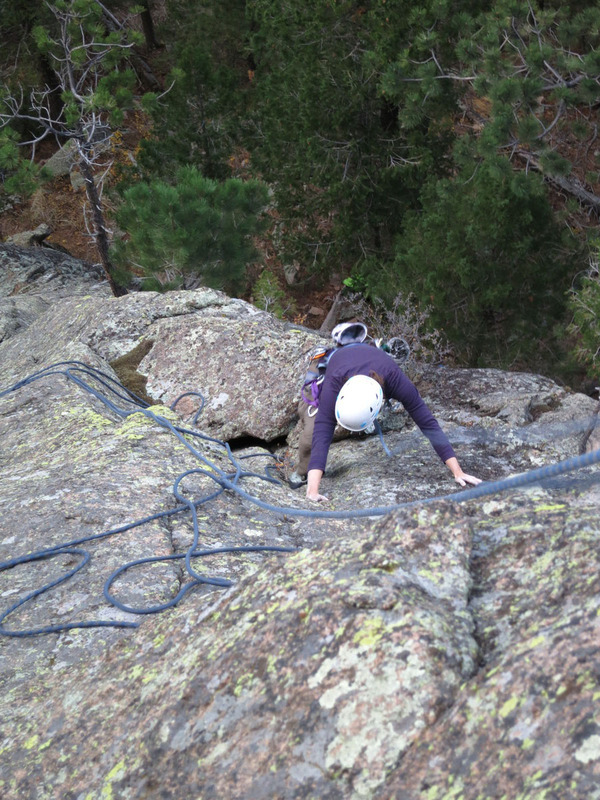 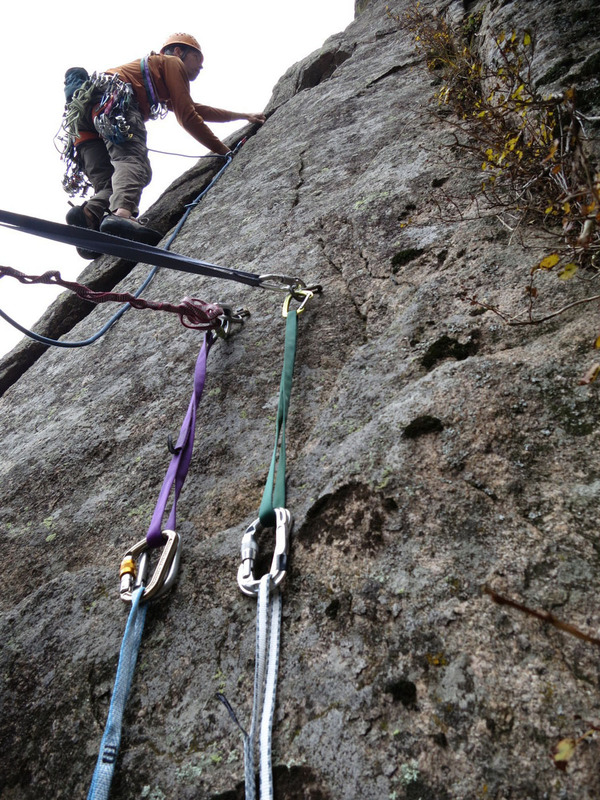 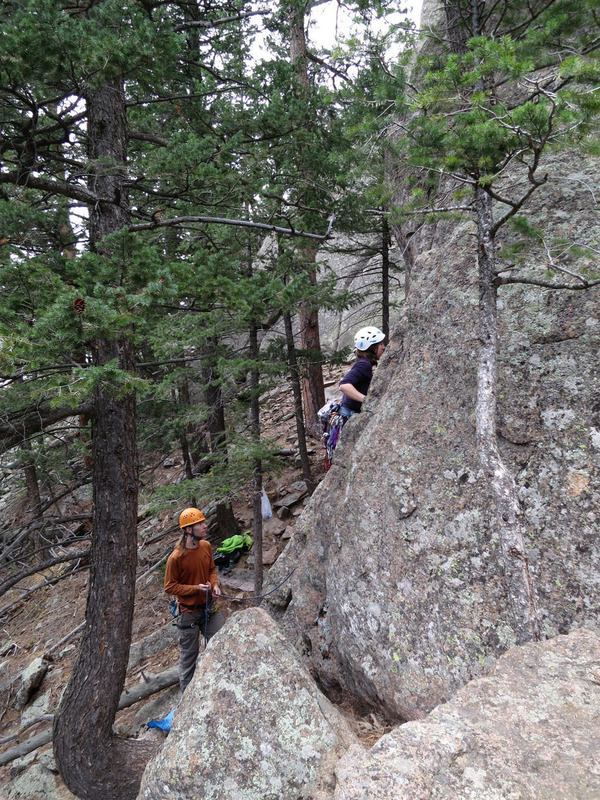 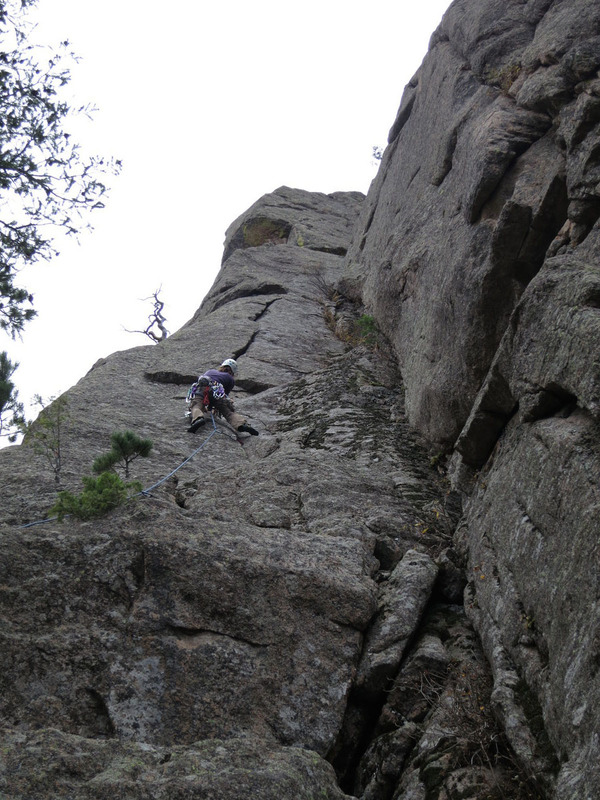 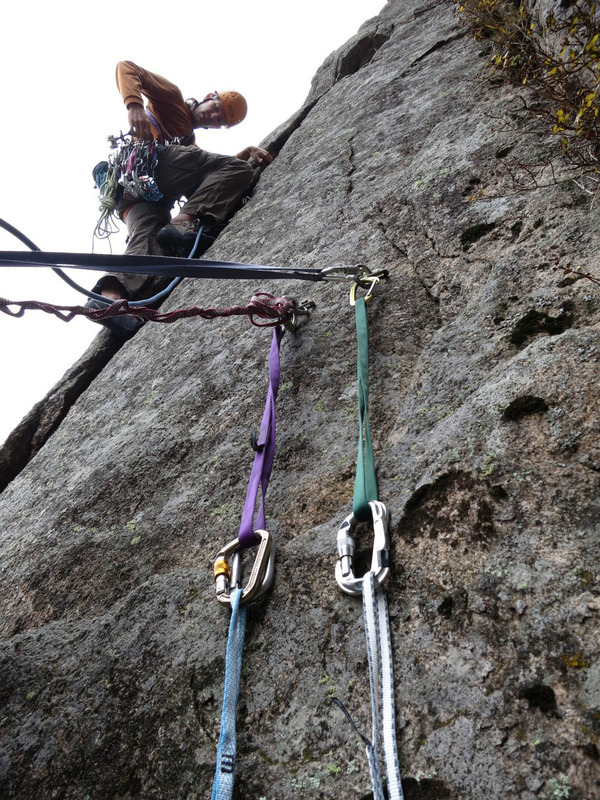 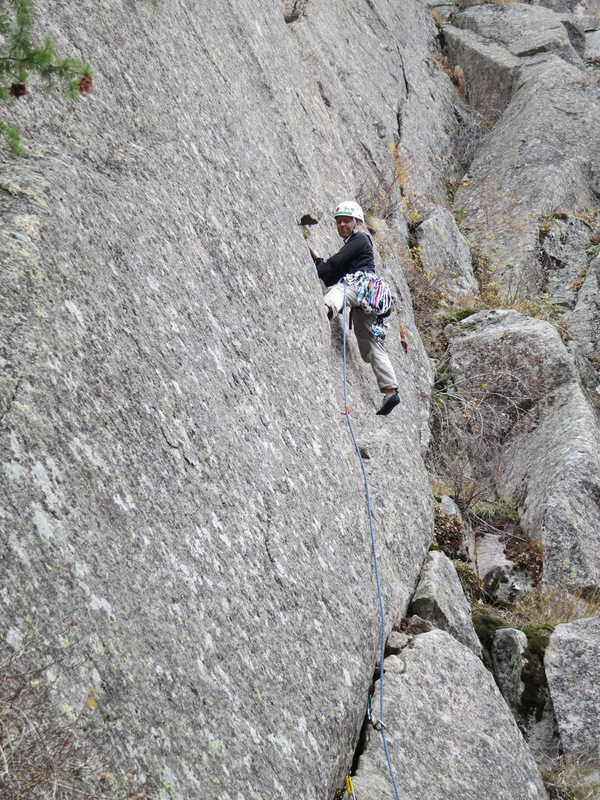 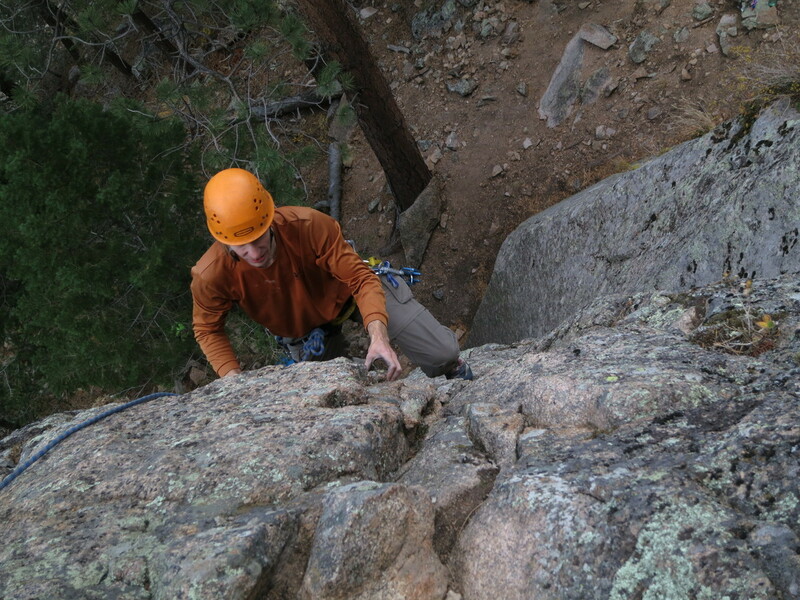 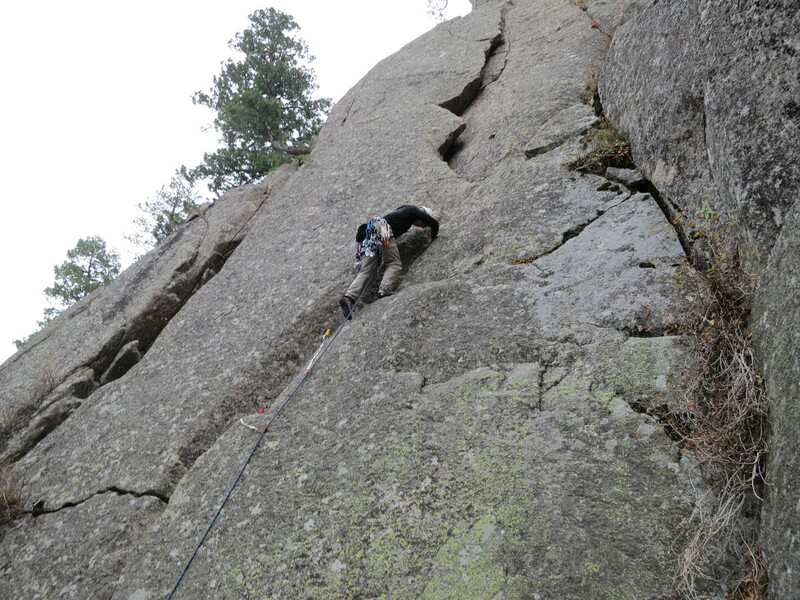 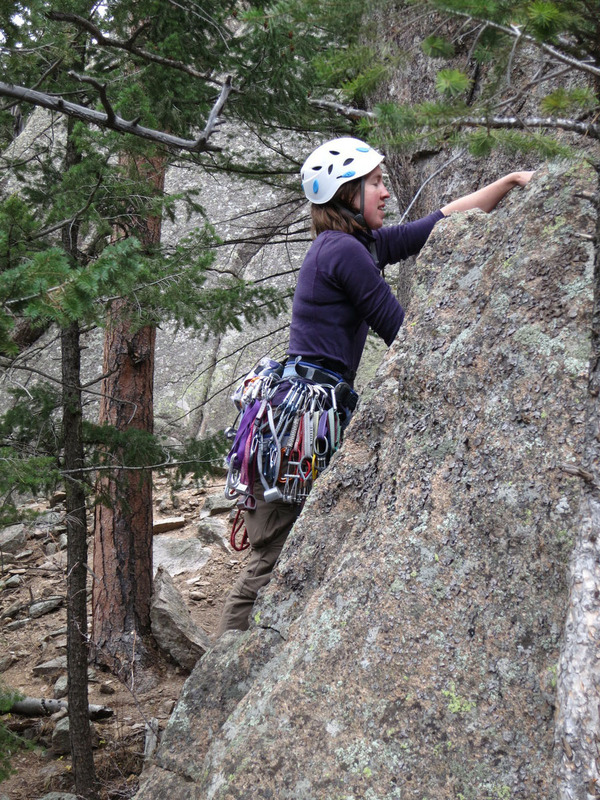 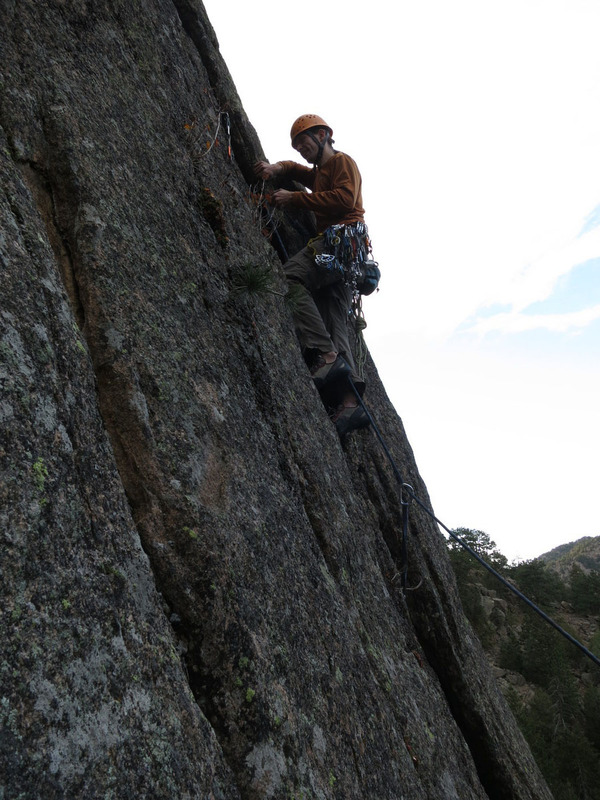 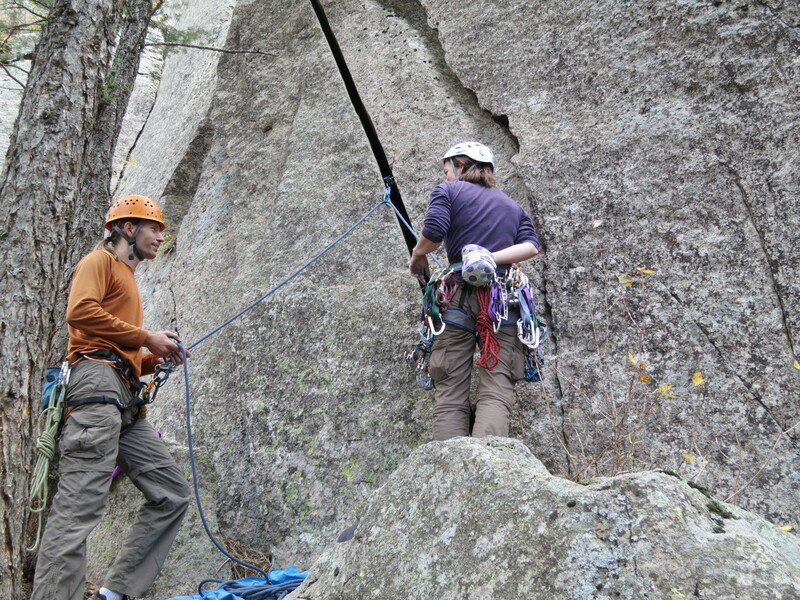 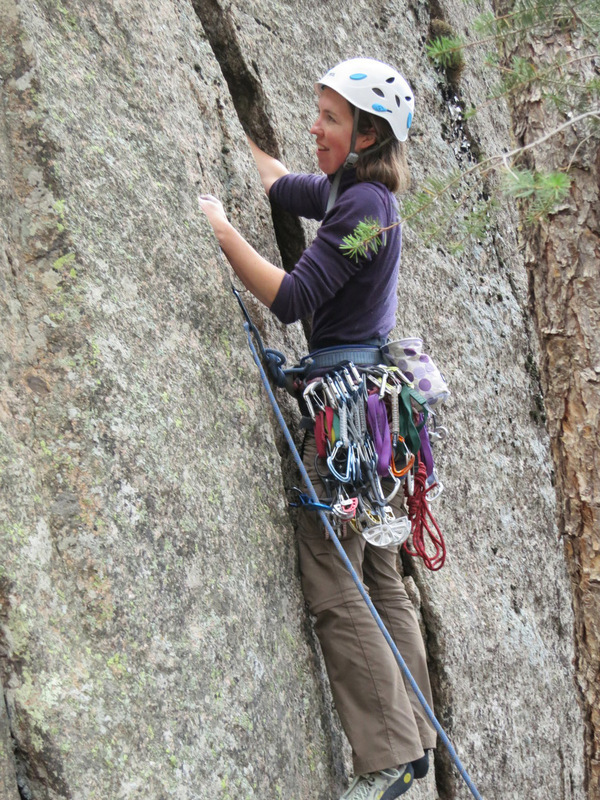 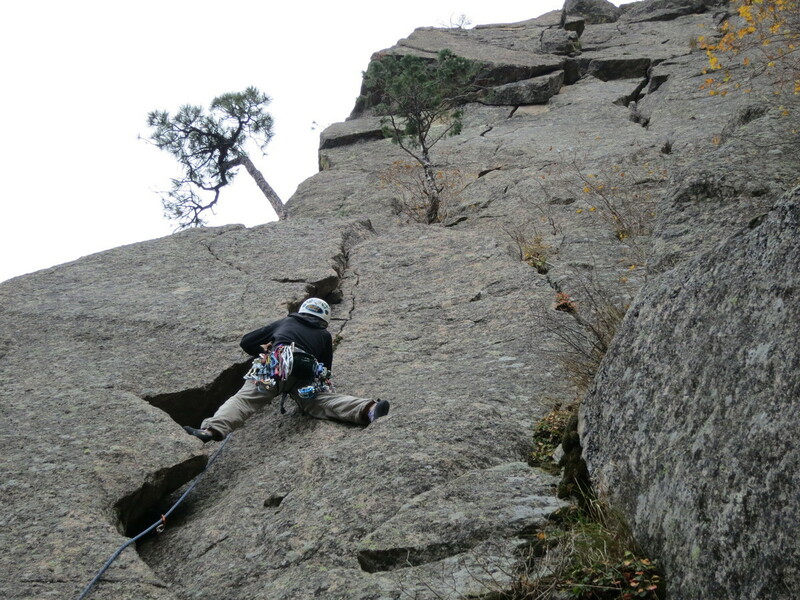 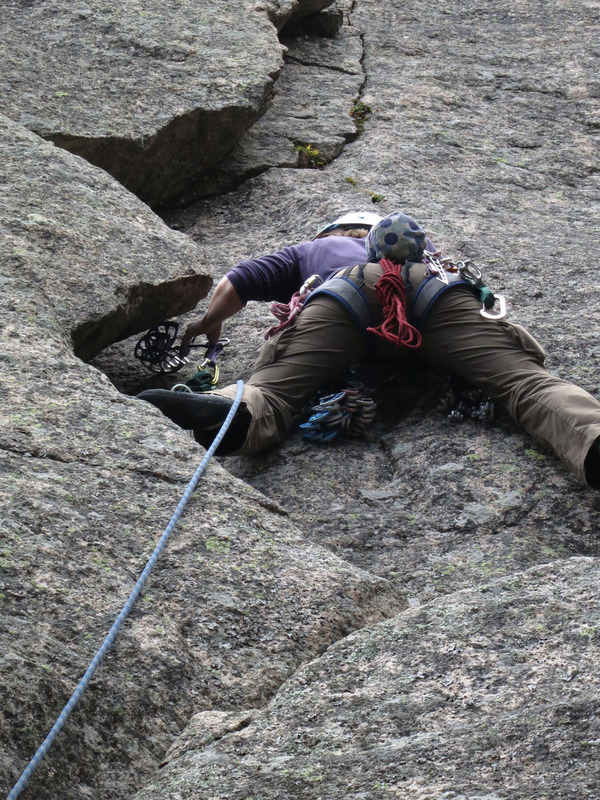 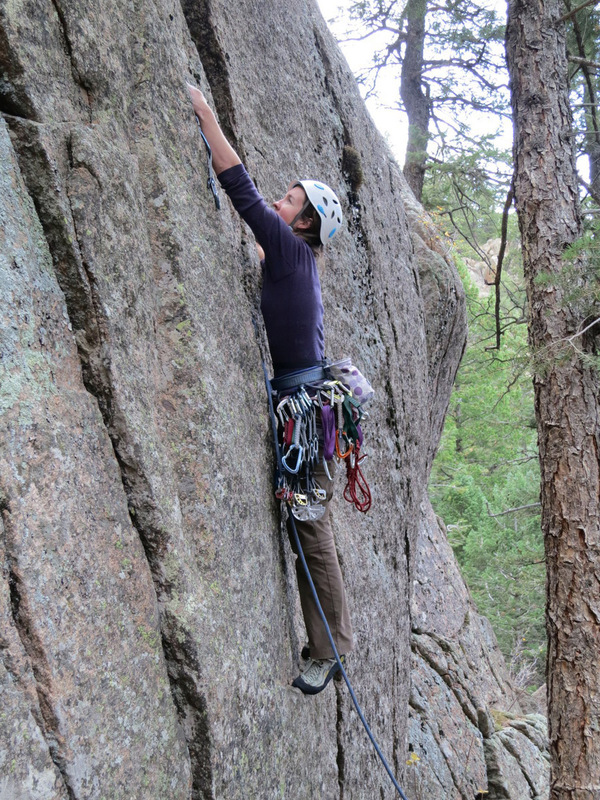 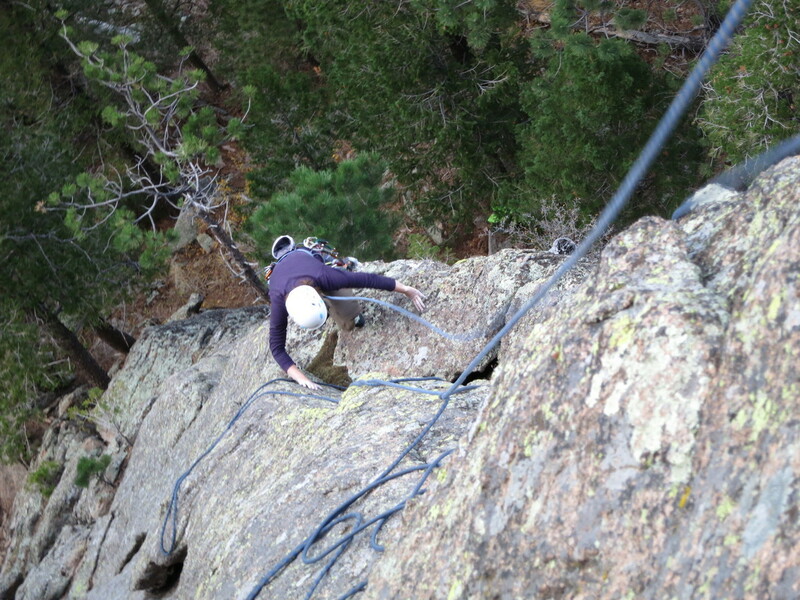 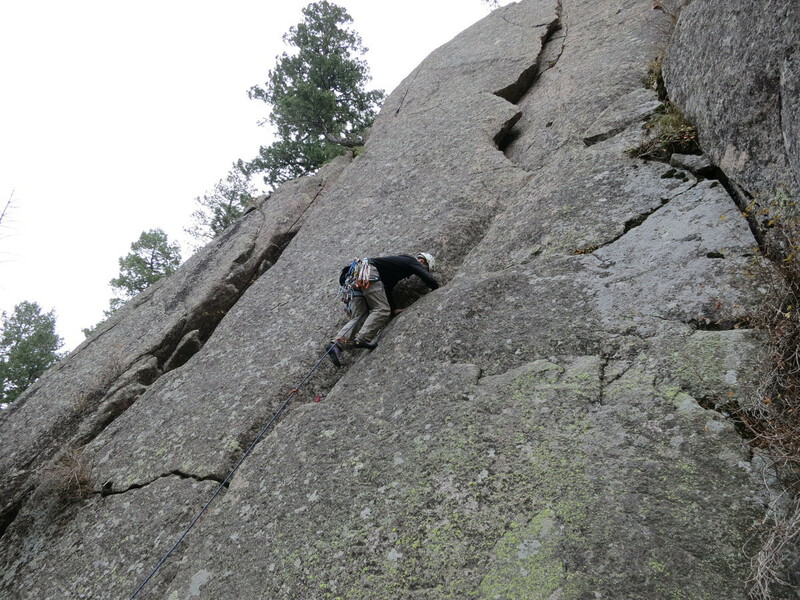 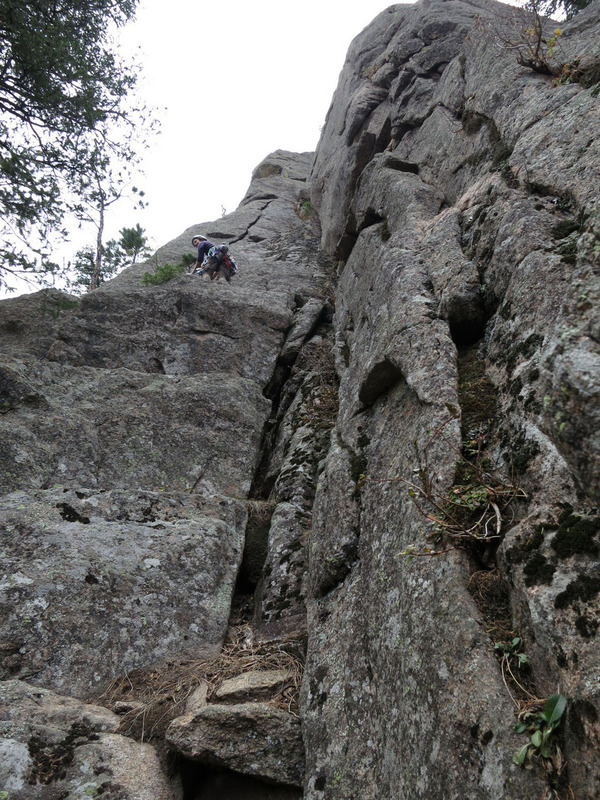 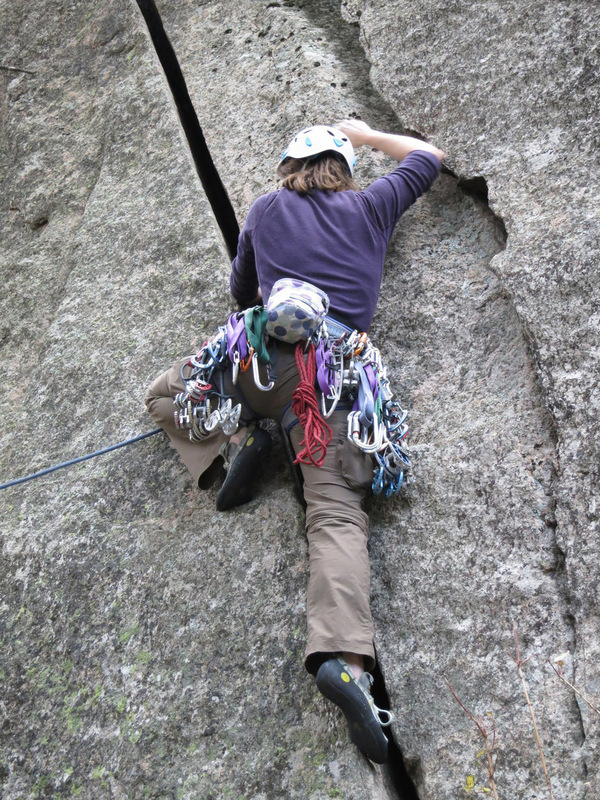 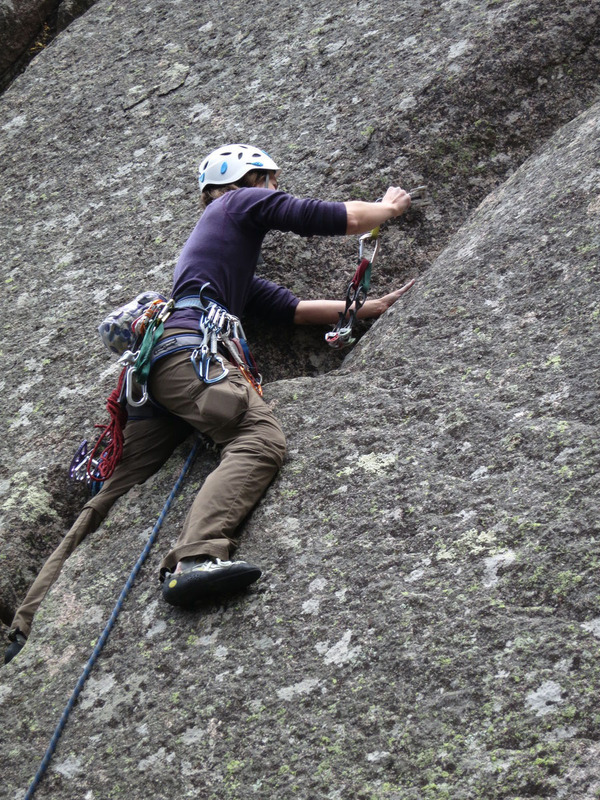 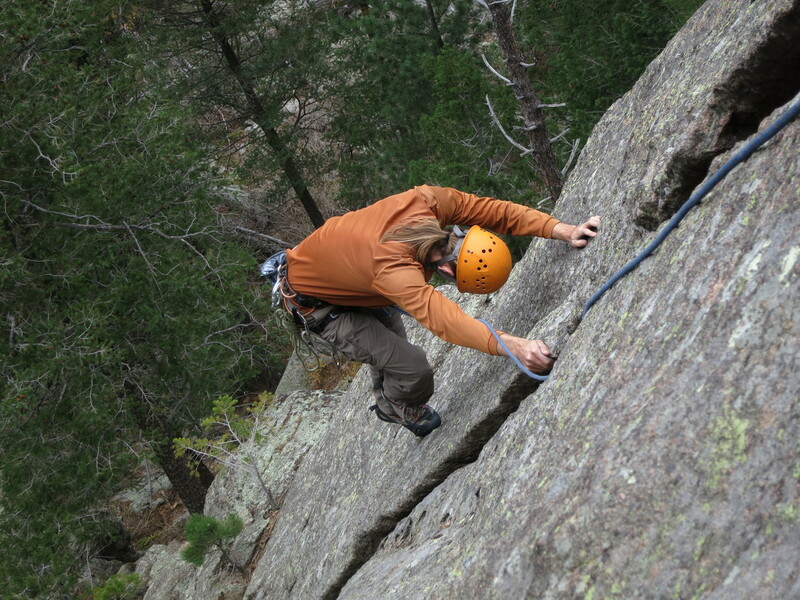 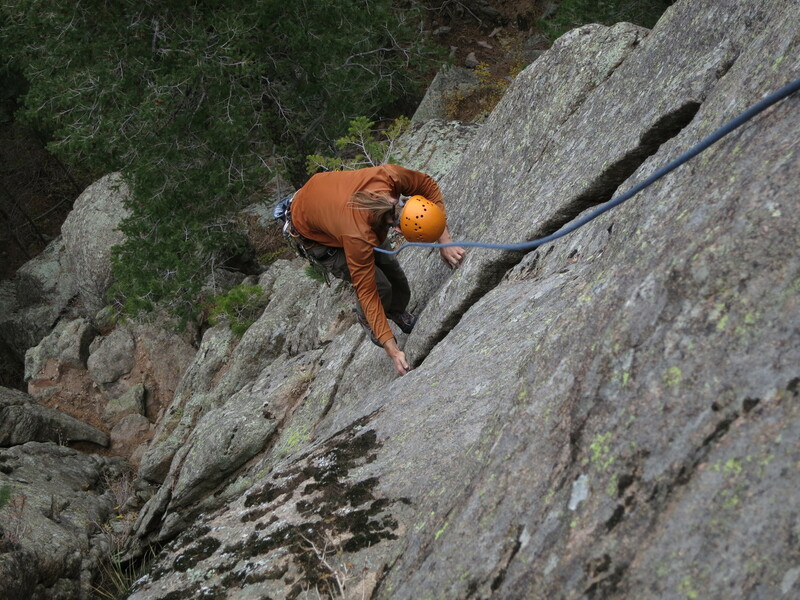 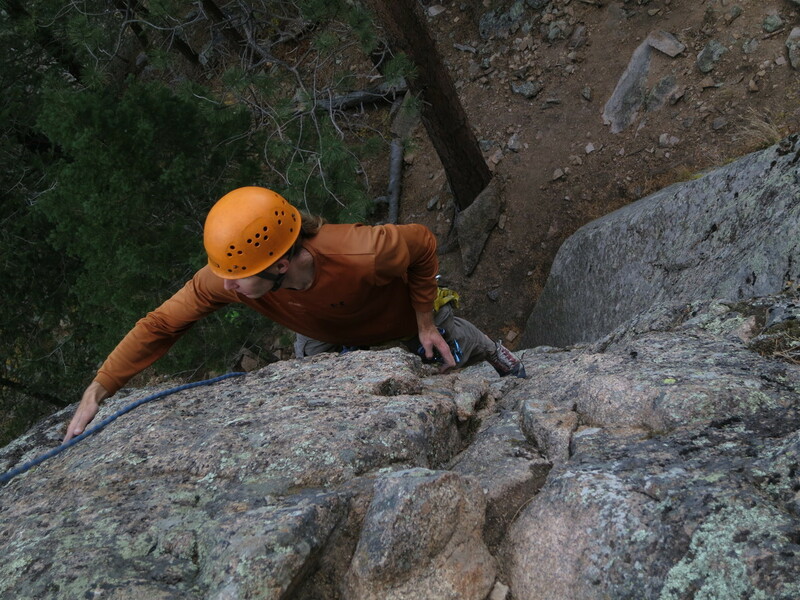 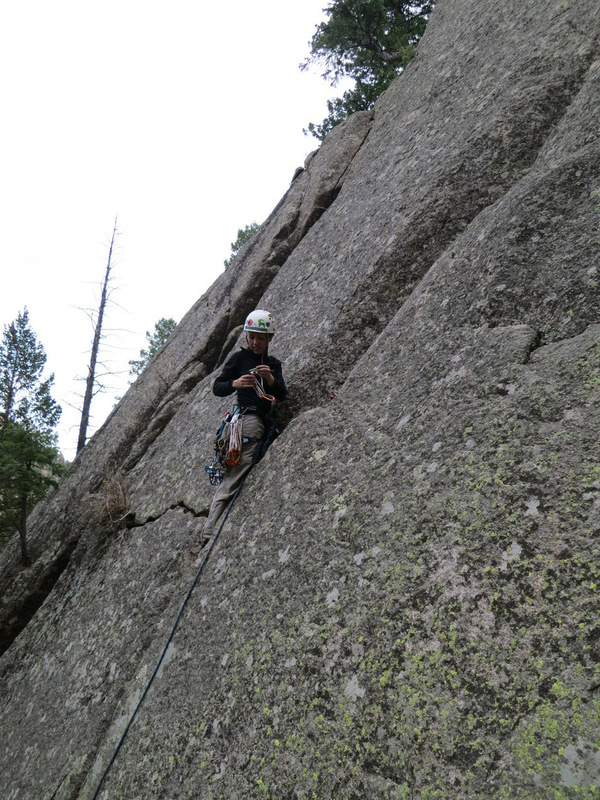 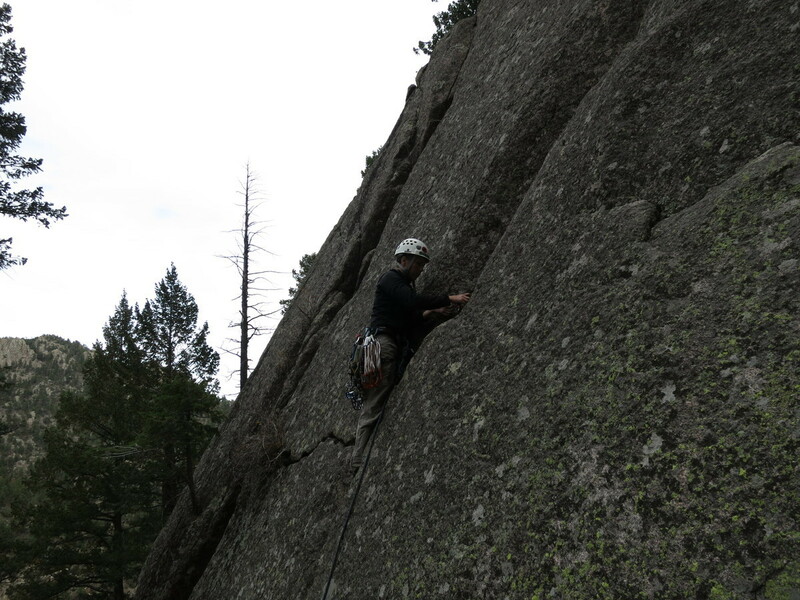 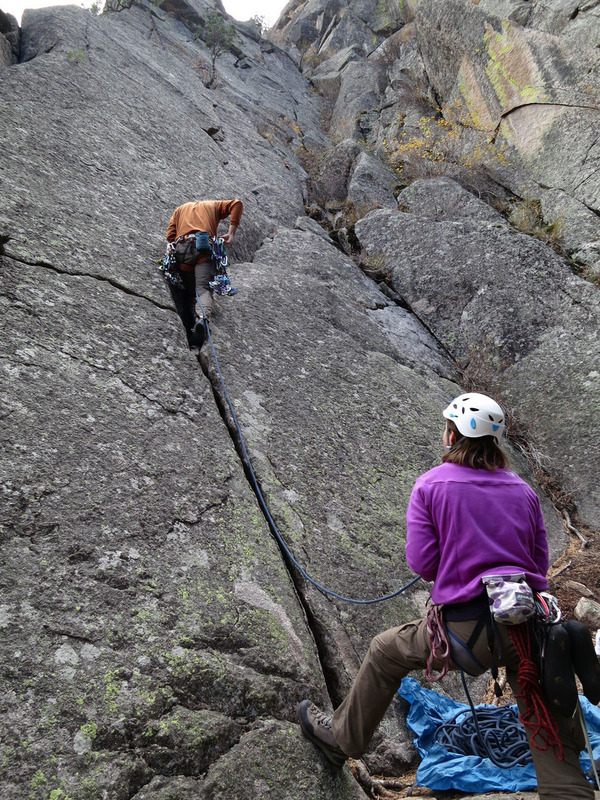 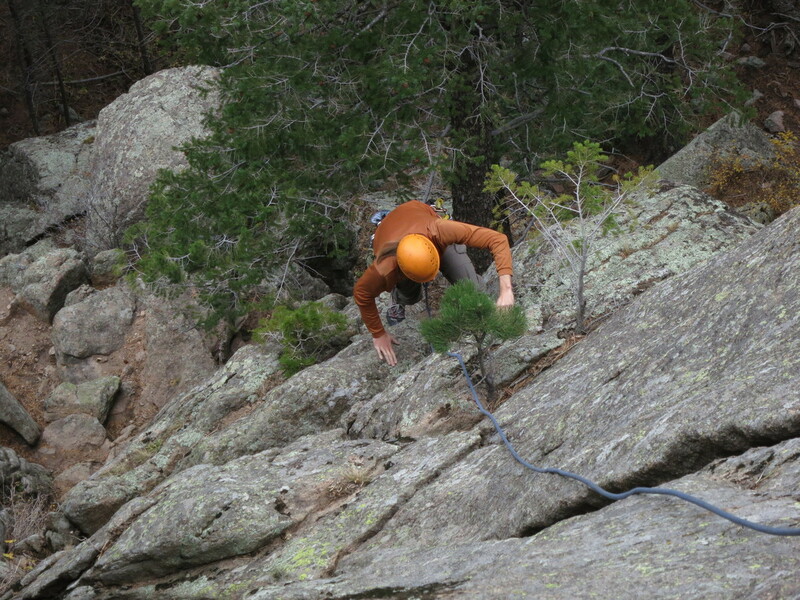 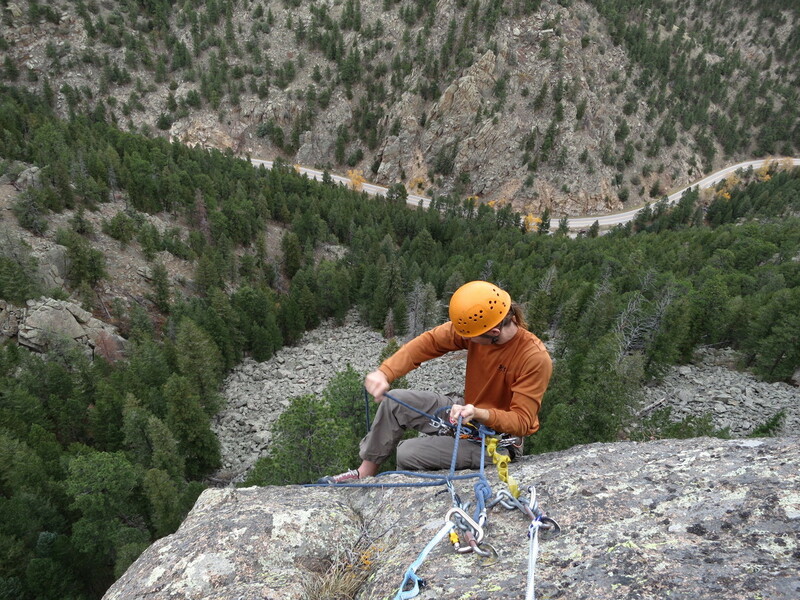 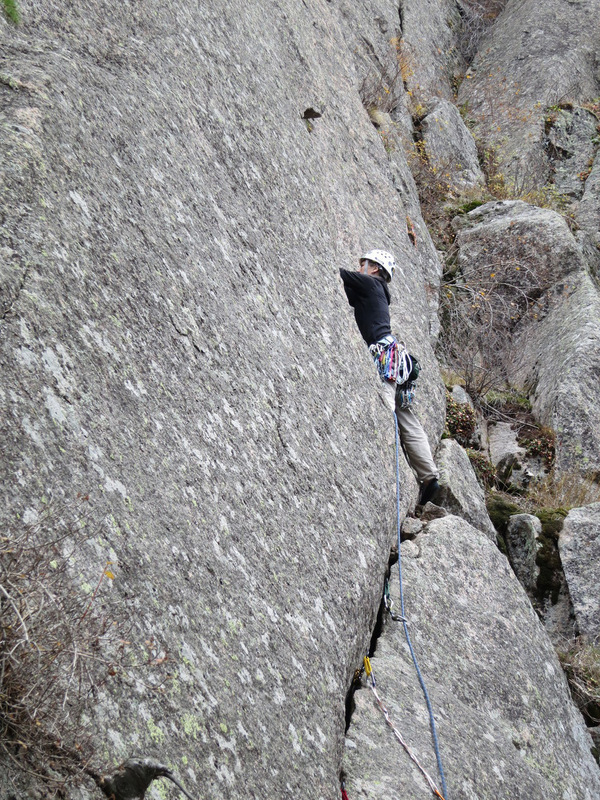 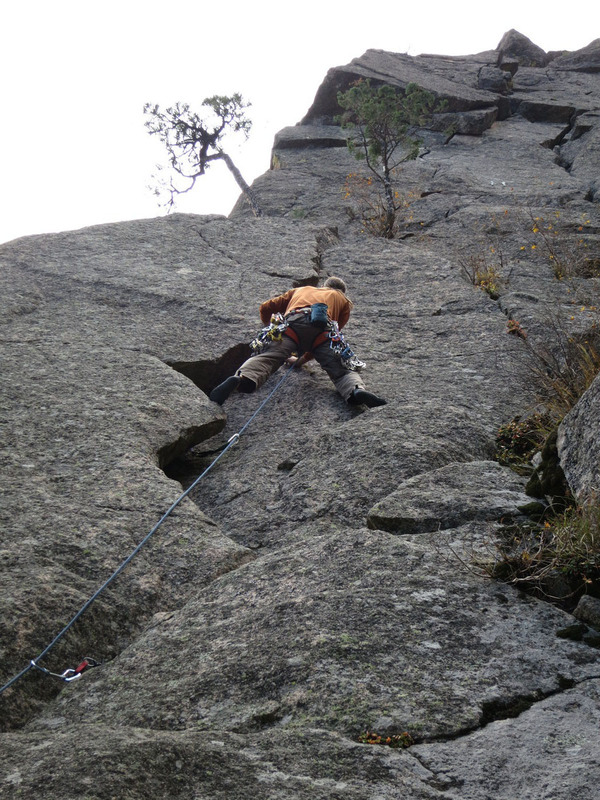 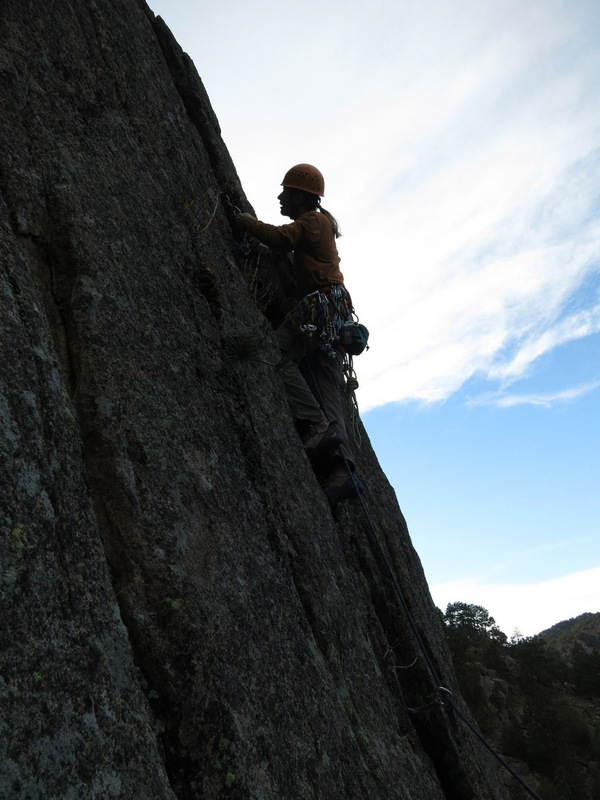 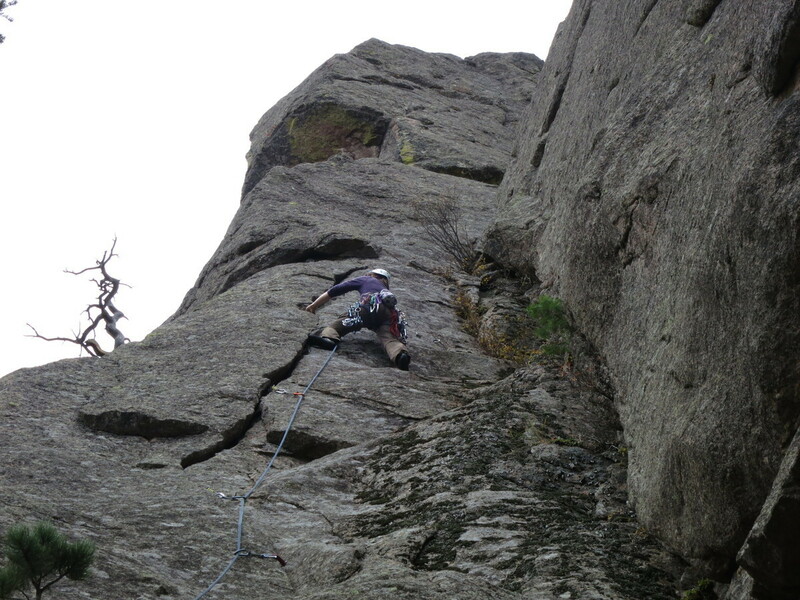 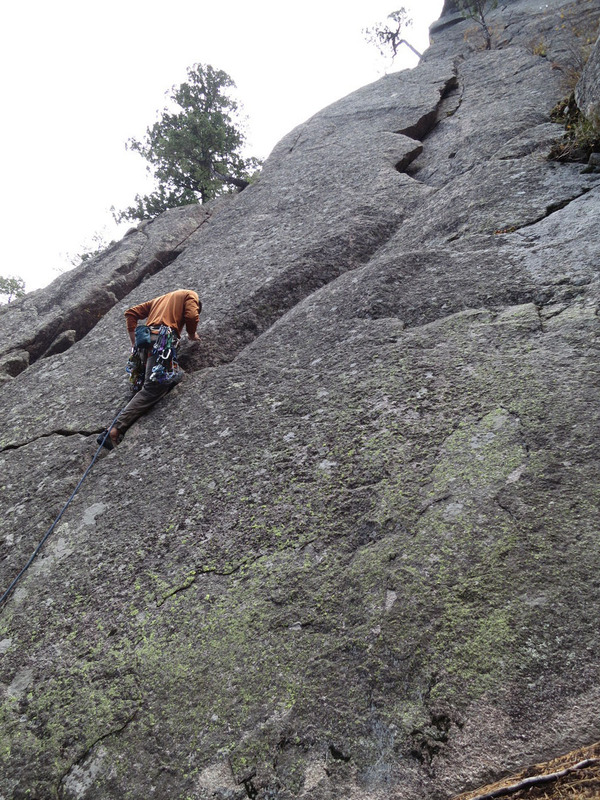 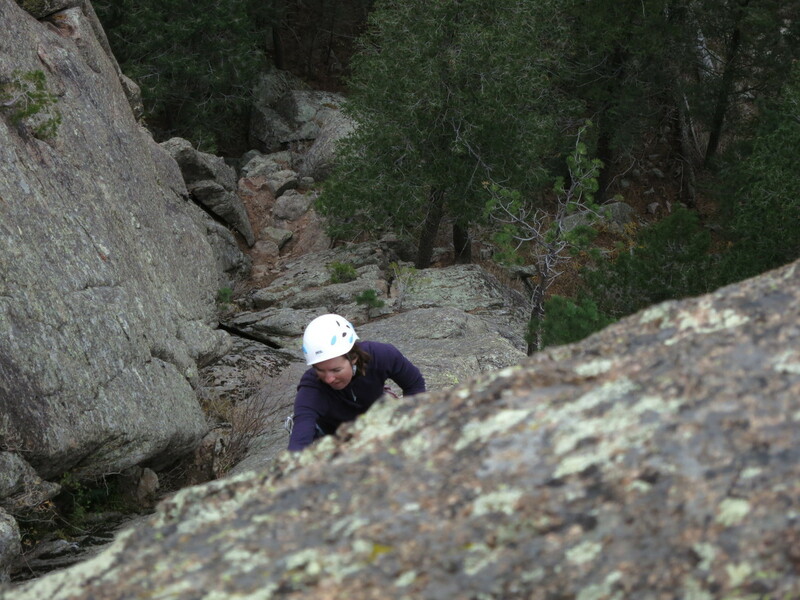 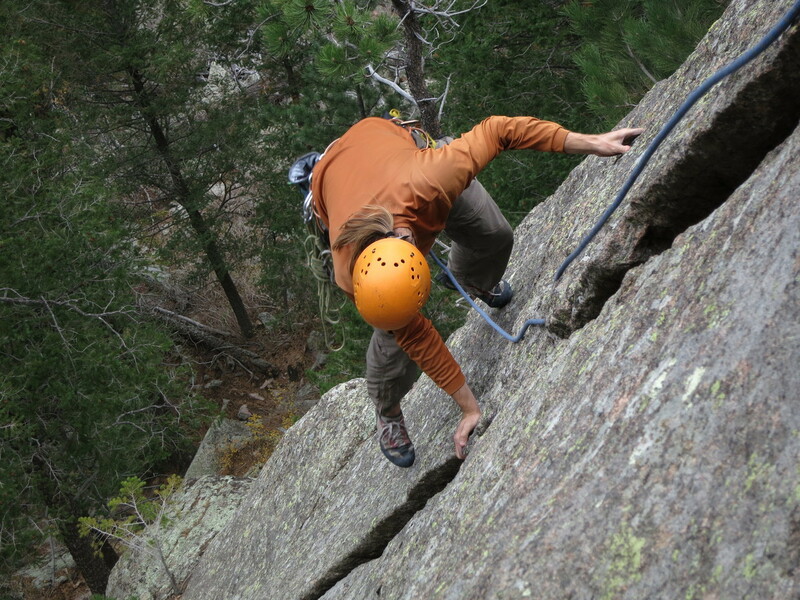 The second pitch was very mossy with plenty of lichens and loose rock to make it interesting. 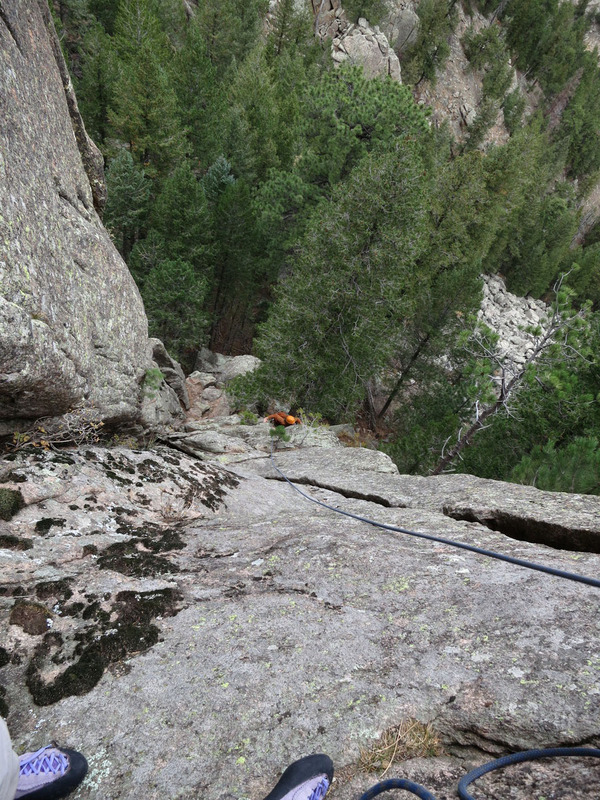 A difficult lead for Ben due to it's chossyness, but easy enough to follow.